This time I interview a good friend of mine, Boris Scholl, a Program Manager on the Visual Studio Team building tools for SharePoint development. 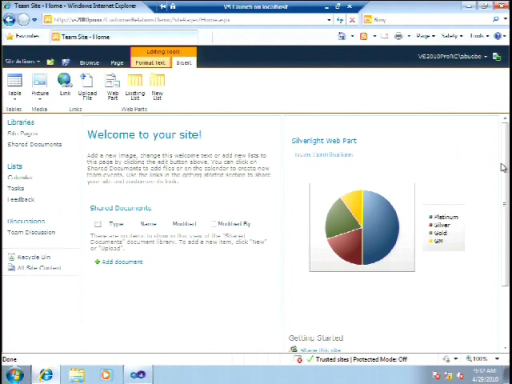 Boris shows off the new Business Data Connectivity designer in Visual Studio 2010 and how it allows you to describe data coming from multiple data sources and how to work with them in SharePoint. He builds a master/detail association across entities coming from separate data sources (a database and a service) and demonstrates how the entities can be displayed and edited. Nice Vid, learned a lot. There is no default Business Data Connectivity Service Proxy available for the given SPServiceContext. Hi, which SharePoint version are you using? I've searched the internat for possible solutions, but nothing that i've read has solved my problem. Which included increasing the number of recs to read, changing SQl authentication to mixed. The error message usually occurs when you are using Windows Authentication and the SQL Server instance is on different computer. Ensure that the account being used to access SQL Server is a domain account. If the account being used is a local account on the client computer, then this error message occurs because the SQL Server and the Domain Controller cannot recognize a local account on a different machine. 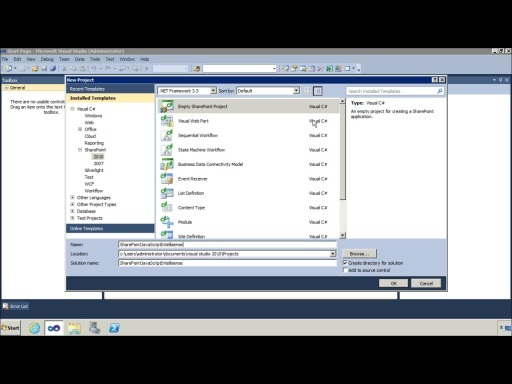 If you use SQL Server authentication make sure that that the SQL Server login exists. Excellent - just what I wanted to learn. After following instructions for setting up SharePoint 2010 on Windows 7, following the first BDC Project instructions and following the blog entry about Fearure Event Receiver, I get 500 - Internal Server Error at the "Adding Solution" step of deployment process (in your video, when you press F5). Any suggestions? 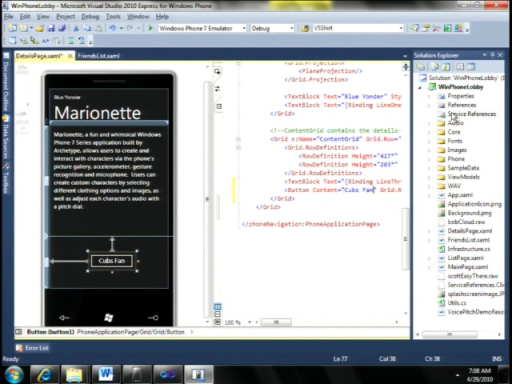 Thanks, great introduction to creating a BDC in Visual Studio . I hope it has given me enough to get one created. Saving, and accessing, connection details (or server level parameters in general) in the "right" place. 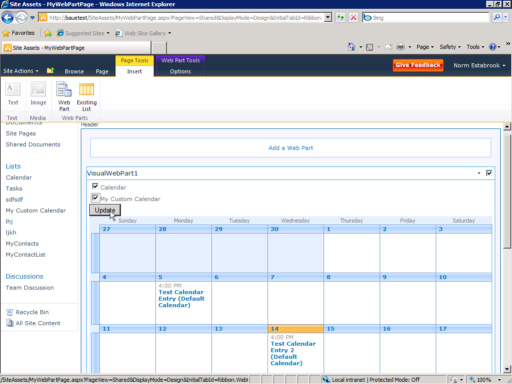 I running a BCS solution in sharepoint 2010 web site, the readitem, readlist, create and delete operations work but the update operation has a problem throwing the following exception: Microsoft.SharePoint.WebPartPages.DataFormWebPartException: Data Source Conflict: Your changes conflict with those made concurrently by another user. Make sure all the fields in the update method's parameter have updaterField set to True. Do you know of your suggestion solved Julian's problem? I'm having the same problem but even through I've verified that Updater Field is set for all properties in my Update parameter, I'm still getting the same error. Could you please let me know if there's another source of this error? I'm really stuck on this! Is the code/demo available for the NortwindEnities service (svc) that Boris connects to? Ok it looks like I do not need to create my own as there one on the web http://services.odata.org/Northwind/Northwind.svc/. Next problem is that Boris has a table called EmpWorkSpace and my Northwind does not! Where does the EmpWorkSpace come from?